Can You Take a Five Finger Death Punch? How you feel about the American metal band Five Finger Death Punch’s extensive use of military terminology, imagery, themes, characters, and narratives in their songs and videos probably has a lot to do with how you feel about metal generally. If you find metal cartoonish at best and unlistenable the rest of the time, you probably won’t be very impressed by Five Finger Death Punch’s musical efforts to give voice to the concerns of soldiers and veterans. If you love metal, Five Finger Death Punch’s mil-and-war songs and videos probably strike you as moving, sincere, and laudable. I suppose you could love Five Finger Death Punch, but have reservations about their exploitation of military motifs, and I suppose you could whole-heartedly “support the troops” while hating on Five Finger Death Punch. The numbers, however, suggest that Five Finger Death Punch has captured the true, beating heart of what many soldiers really like when it comes to seeing their lives reflected in art, and what hundreds of thousands of non-veterans (to include the members of Five Finger Death Punch) think it means to thank veterans for their service. The video for “Wrong Side of Heaven” has been viewed 230 million times, people, and the YouTube comments ooze with testimonials from vets who find much to appreciate in Five Finger Death Punch’s music and messages. 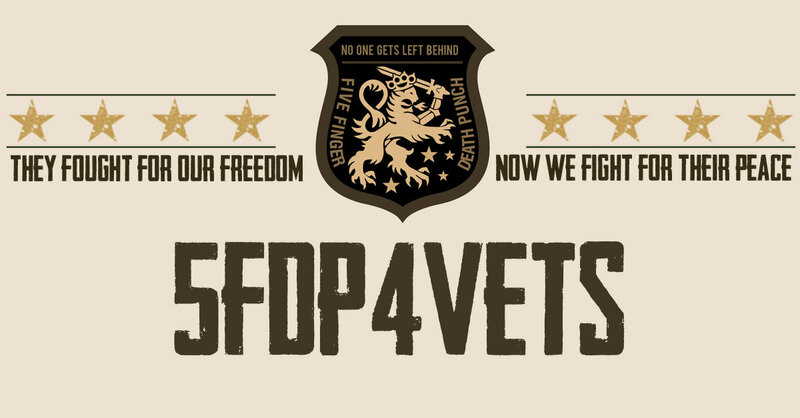 It’s also hard to gainsay the band’s concentrated commitment to helping struggling veterans, as reflected in their organization 5FDP4VETS. Five Finger Death Punch are probably the least cool metal band around right now. Critics pretty much hate them (a reaction that’s likely to get worse, now that guitarist Zoltan Bathory has endorsed Donald Trump’s presidential campaign on Twitter); metal elitists sneer at them and consider them knuckle-dragging, lowest-common-denominator purveyors of post-Pantera crap. But they’re able to sell 114,000 albums in a week, which means they’re reaching an audience your average blog-friendly metal band can’t even dream of. And I have a theory about that audience: I think Five Finger Death Punch have succeeded by building a relationship with listeners in the military, in a way other bands haven’t. I’ll let you sort out your own feelings about the subject while reading the rest of Freeman’s article and checking out the Five Finger Death Punch music-video evidence below. “Bad Company” (2010). A cover of the Bad Company classic-rocker, accompanied by footage of Five Finger Death Punch’s tour of US military FOBs in Iraq. “Remember Everything” (2012). About the impossibility of forgetting war-related horror after returning home. “Wrong Side of Heaven” (2014). Focuses attention on veteran trauma and homelessness while castigating an ungrateful nation. “Gone Away” (2017). A young man, torn by guilt when his best friend is killed in an IED blast overseas, decides to enlist. A cover of a song by the Offspring. “When the Seasons Change” (2018). Dedicated to Charleston Hartfield, US Army Iraq veteran and Las Vegas policeman killed in the 2017 mass shooting there.